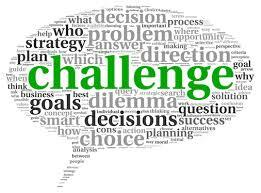 Blog Are You Up For the Challenge? It’s already familiar to us that real progress happens when we are prone to leaving our comfort zone. And challenging yourself to do that has become something of a set rule. Wanting to believe this, we are getting in terms with it must be done. But it’s not being out of your comfort zone that gives the results, it’s the length of the stretch you are about to make when out of it. Successful people always go for the next challenge, setting the bar higher than the one before. Many of them realize that it’s the only way to step out and make progress. And the thing that I just recently realized is that this behavior didn’t happen overnight. It’s rather an act of persistence and habit. They’ve trained their mind to constantly set challenges, and they’ve become good not only at picking the next challenge, but also completing it and growing alongside it. The truth is we all challenge ourselves from time to time. But that alone isn’t enough. Even from an early age we are being taught to set a realistic goal, challenge ourselves only to the extent of staying in our comfort zone. And when realism and challenging yourself come together, we are very limited in what we can achieve. Challenging yourself only within the frame of what is achievable at this moment, will never make you change; for better or for worse. What is real to you now in terms of goal setting, is only equivalent to your present capabilities. And setting your goals depending on present capabilities, means that you don’t intend to change, or improve. Therefore, your challenges must be way out there, seemingly unrealistic at the time they begin. Only then you will step out of your comfort zone in a resolute manner, reaching further than you ever have. Did you know that it takes 30 days to form a new habit? The first few days are similar as to how you would imagine the birth of a new river. Full of enthusiasm it gushes forth, only to be met by strong obstacles. The path is not clear yet, and your surroundings don’t agree. Old habits urge you to stay the same. But you need to stay determined. This starting phase is the hardest. Slowly, however, the path is cleared, resistance erodes a little day by day. And soon after, everything around you is actually helping you to go through the motions of your newfound habit. The new river is formed and flowing. By giving yourself a challenge, for a minimum of 30 days, you will find that you are able to improve all facets of your life. So, take a moment to reflect on the question “Who do I want to be in 5 years?” What kind of habits would you like to have? You better start now if you want your new habits to influence your lifestyle and consequently your life! You can’t wait for things to be perfect before starting a project or trying to define your goals. The time will never be “just right.” When it comes to your career, if you want to be an athlete, then start training. If you want to be an author, take some writing courses. Do something now – don’t just wait for the perfect time. If you want to make the most out of your career and life, you must learn to challenge yourself. You will never fulfill even a fraction of your potential by sticking to the safe and comfortable. The safe and comfortable never forces you to rise to the occasion or go the extra mile.